Thank you for your interest in donating to Upham Woods Outdoor Learning Center! 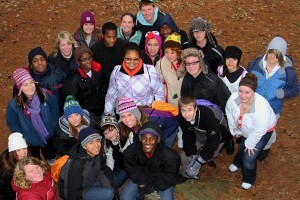 As an organization, Upham Woods Outdoor Learning center works to provide educational opportunities to youth, youth leaders, and adults through programs focused on environmental and leadership education. Your support and generosity allows Upham Woods to continue to grow this legacy that began with the Upham sisters back in 1941 and continues to expand today as a part of the University of Wisconsin. Checks should be made payable to Upham Woods Outdoor Learning Center. Please note “Donation” in the memo space. 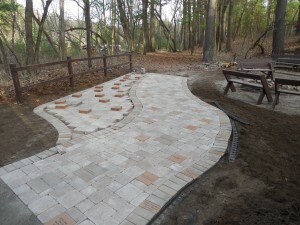 Become a part of the legacy of Upham Woods by adding your name to the next stage of the Legacy Campfire Circle Project! Recognition bricks are now available for $500, $1000, and $5000 donations. Periodically throughout the year we will engrave a brick recognizing your generous donation and install it in our Legacy Fire Circle. Please contact Upham Woods at (608) 254-6461 for more info.